Have you ever seen a bird, that is learning to fly? Some of them learn fast, but others need assistance and perseverance. 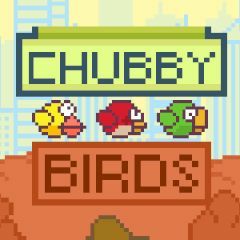 Select a chubby bird with a skin that you like most and take care of it. Click on the screen to make a swing and keep it in the air. Don't touch obstacles and count all successful moves. Get your medal in the end!